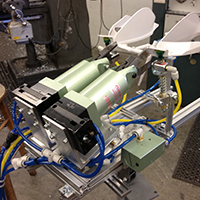 Waldron Automation, LLC was founded in 1999 with a goal to provide industry with affordable automation solutions. 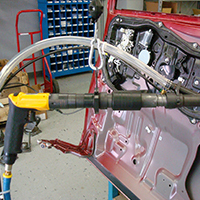 The products and services outlined reflect proven suppliers and experts in their specific areas. 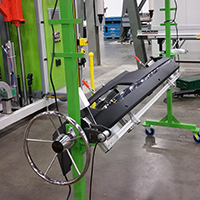 Craig Waldron’s education and experience provide practical simple-to-operate designs for today’s Lean manufacturing requirements. 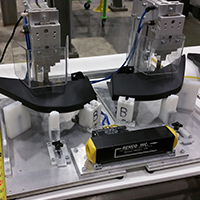 We can provide all components for your next palletizing cell, reconditioned Fanuc robot, end-of-arm tool, conveyors, pallet stands and guarding. 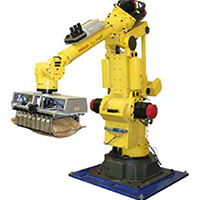 Waldron Automation LLC provides reconditioned FANUC robots sized for the application for the following industrial solutions. 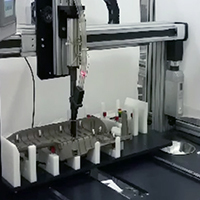 12pcpm with new SAS Automation end-of-arm tools. Secondary Operations: Tier Sheet and Pallet Loading. 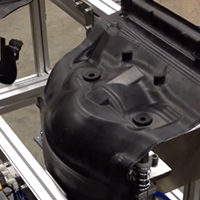 Blow molding part removal and insert loading. Secondary Operations: Degate, Router & Torch, Clip Inserting, Hot Knife Cutting. 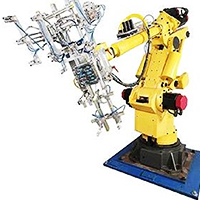 Waldron Automation, LLC is proud to provide FANUC Robot Training schools; FANUC integration, service and programming; FANUC used parts locator service; and Robot end-of-arm tools designed and assembled. We proudly service Alabama, Georgia, southern Tennessee, and Mississippi.